Print and copy efficiently with up to 30 pages per minute with the new ECOSYS M6530cdn. 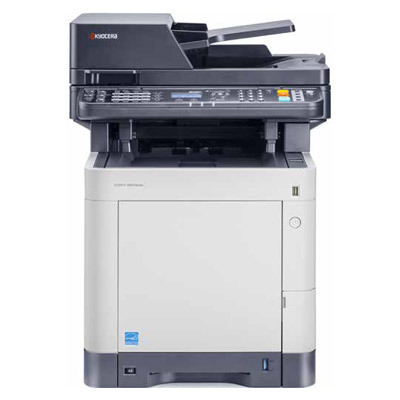 This A4 colour multifunction printer will deliver a true out-of-the-box solution for all your work-group needs; including standard network printing, copying, colour scanning and fax functionality. Highly efficient and ideally suited for workgroups demanding superior colour output with first class productivity, outstanding features, all at a low cost per page. Efficiency and reliability combined with a large number of standard functionalities make this A4 colour multi-function printer perfectly suited to all your needs. Contact us now for expert advice and the guaranteed best price. COMPLETE THE FORM BELOW TO RECEIVE FREE INSTALLATION* & DELIVERY TO THE PERTH METRO AREA FOR KYOCERA’S AWARD-WINNING DEVICES WITH MOBILE PRINT TECHNOLOGY. © 2019 Kyocera Printers Perth, all rights reserved.